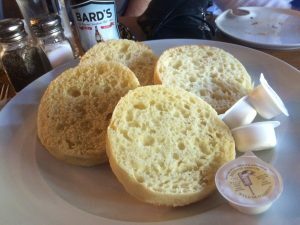 If it’s gluten free and happening in Victoria, Vancouver Island or the Gulf Islands, you’ll find it listed here! From tastings to contests, farmer’s markets to food trucks – this is your calendar to Gluten-Free Paradise! 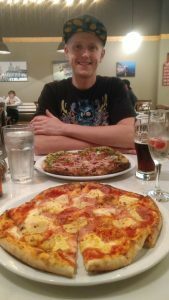 Join Victoria’s Gluten-Free Foodies and add a new restaurant – and possibly a new gluten-free friend – to your repertoire! 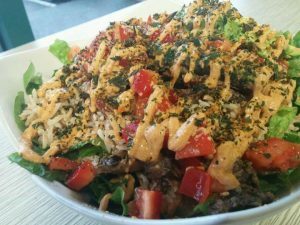 Enjoy Rawthentic Eatery’s Rotating Specials Every Day of the Week! Always Raw, Dairy-Free & Vegan! Snak Stiks (All varieties) BUY 1 get 1 FREE. Large Juice and your choice of a Snak Stik or Breakfast Bar Rep $15.50 on for $12.99. Goddess Bowl and a reg Smoothie $19.50 on for $14.99. 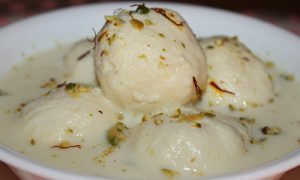 Check out Bulk Order Desserts on special … an in-store order sheet is available near the till. 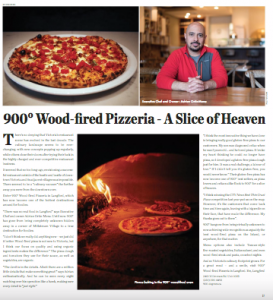 View Rawthentic Eatery’s Complete Menu here! 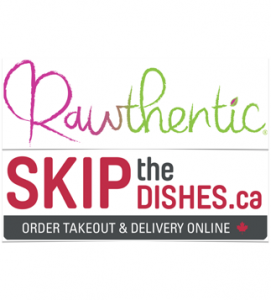 VICTORIA Rawthentic Eatery is pleased to announce a partnership with ‘Skip the Dishes!’ If you you live in the Victoria area you can order food and have it deliver to your work place, home or even while you are waiting in a line up just about anywhere in their delivery radius for a small fee! If you spend $20 or more, the delivery is FREE. 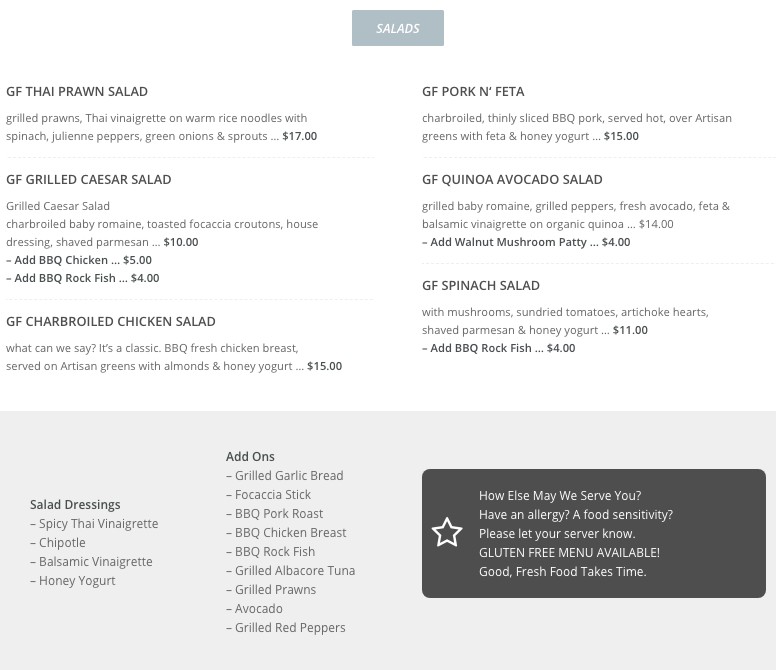 If it is your first time using skip the dish, put HUNGRY into the promo code and you will get a $7 credit on your first order (min $15 order). 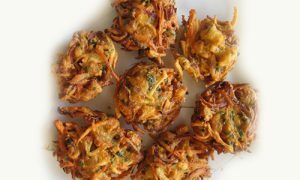 COURTENAY Rawthentic Eatery – Enjoy healthy happy food to you at your work place, home or if you are stuck in a line up. All you have to do is call Rawthentic at 250-338-0571, order your food and before you know it, it’s time to eat healthy, delicious food. There is a delivery fee of $4.50 for this service BUT if you order $35 or more in food the delivery fee is FREE. 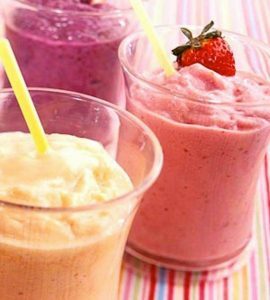 Stuck at work and want a smoothie but don’t have enough time to drive and get it, no problem, just talk a handful of your co-workers into getting a smoothie too and we will deliver them to you for FREE. At home and vegging out to a good series but also have a craving for some veggies…no problem…hit pause and call Rawthentic. Whatever your situation is, we can be there for you. NEW Location! Parksville! 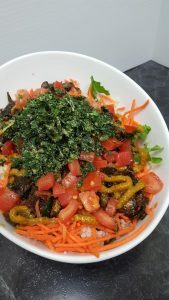 Rawthentic’s great gluten-free, dairy-free, raw, vegan food can now be found at 144 Morison Avenue. (250) 586-4406 Learn more here. Rawthentic has created a CLEANSE GUIDE BOOK and is making it available for FREE. 10 pages of exclusive information will help you make transitional changes with your diet. 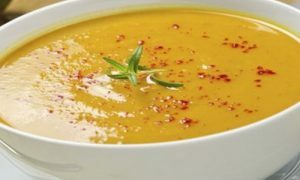 Tips on how to detoxify comfortably, how to snack properly, and how to heal (lose weight) without compromise. Email [email protected] with ‘Please Send the Guide Book’ in the subject line and it will be emailed to you. 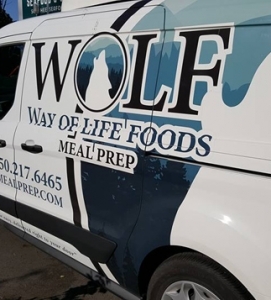 At both of our locations, Courtenay and Victoria, we are introducing our new website, and with that we are beginning an excellent online grocery shopping experience. STEP 2 – We add your request to our next order. STEP 3 – We contact you once it has arrived and pass on substantial savings. 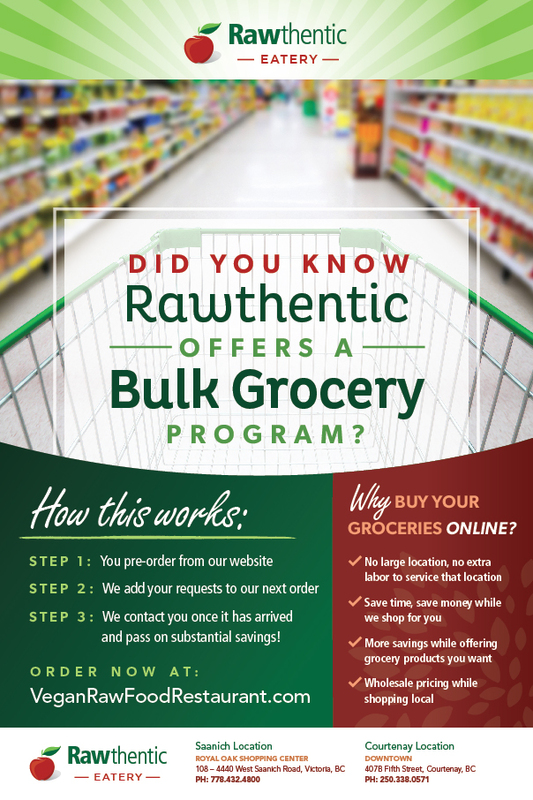 Follow Rawthentic’s Facebook Page to be the first to know about their weekly specials! Rawthentic Eateries in Victoria, Courtenay and Parksville are raw, vegan, gluten & dairy free. Fuel up with delicious nutrient-dense juices or smoothies. 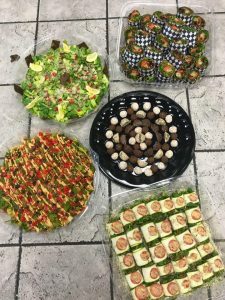 Enjoy mouth-watering salads, wraps and bowls that leave you healthier than when you came in, then finish off with one of their guilt-free desserts! 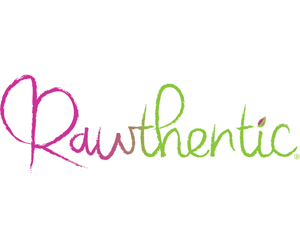 Rawthentic is dedicated to meeting our allergic, gluten-free and food-intolerant needs. All dried fruit, seeds and nuts are sourced to be gluten free. Only gluten-free oat flour is used in baking. ON THE RUN? Choose from a variety of dishes made fresh daily ready-to-go to make your trip into Rawthentic faster. REAL! FOOD! FAST! 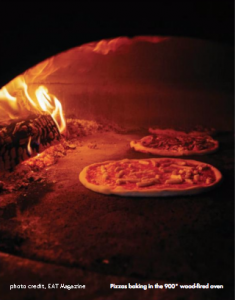 Everything is made fresh in house with real food … no fillers, preservatives or refined food. Sauces are made fresh every day using nuts, seeds, cold pressed olive oil and hemp as their base. 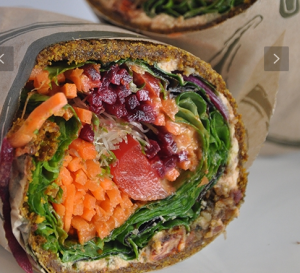 Wraps are made in-house, dehydrated at 115˚ to keep enzymes alive and made with only ground flax and vegetables. Rawthentic’s almond mylk is made fresh every day. Most of the to-go containers, straws, cutlery are made with corn so they are biodegradable. Apple juice is cold pressed and unpasteurized – in other words, juiced right off the tree. Add Kambucha to any juice for free! Rawthentic Desserts! Let the pictures speak for themselves! 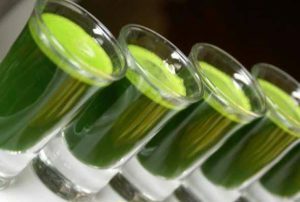 Is wheatgrass okay for celiacs? 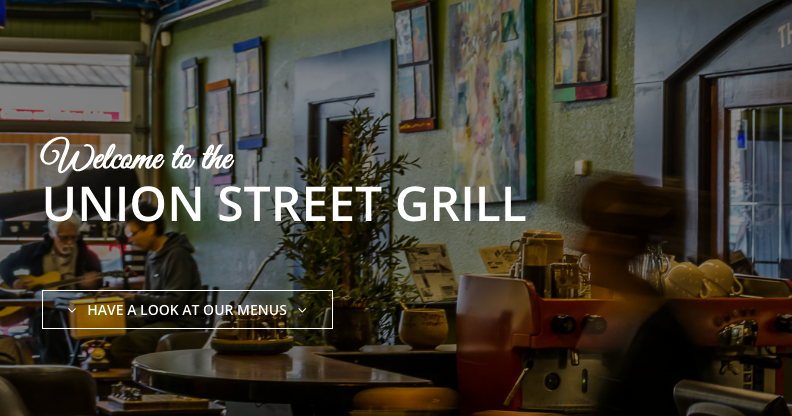 Anyone tuned into Vancouver Island’s gluten-free dining scene has heard the call of Union Street Grill & Grotto’s amazing celiac-friendly menu – with its extensive selection of gluten-free appetizers, entrees and desserts. 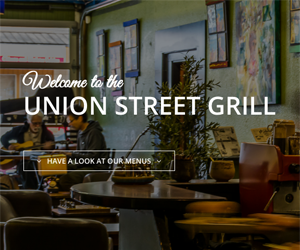 Union Street Grill’s recipe is simple and effective – provide the Comox Valley with three essential ingredients! Good Food, Good Drinks and Good Times! 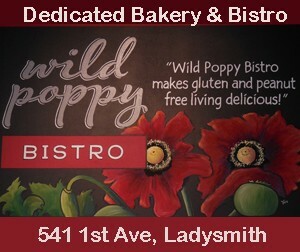 Check out their daily gluten-free specials here! SUNDAYS AFTER 5PM: Kids’ meals are $2 off. 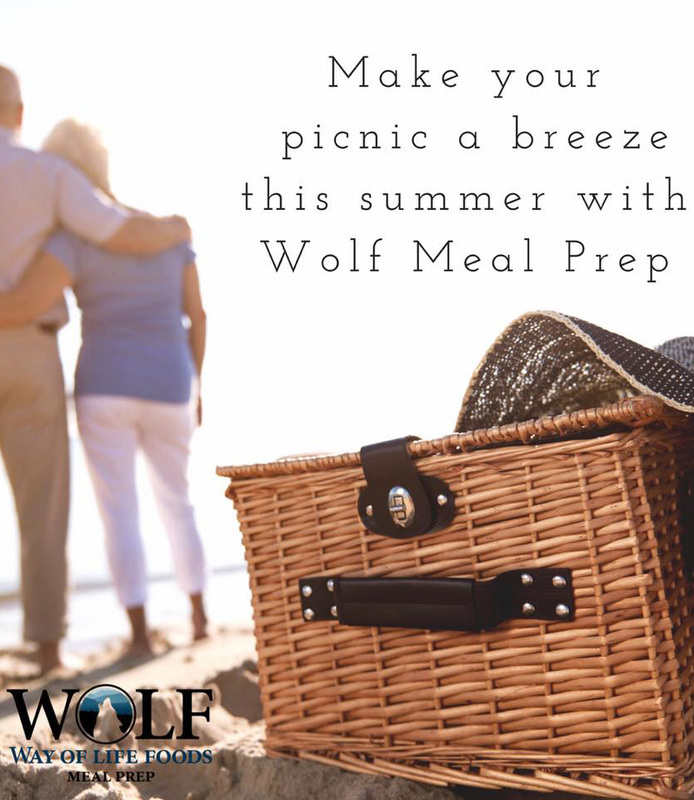 Seniors receive a 10% discount. 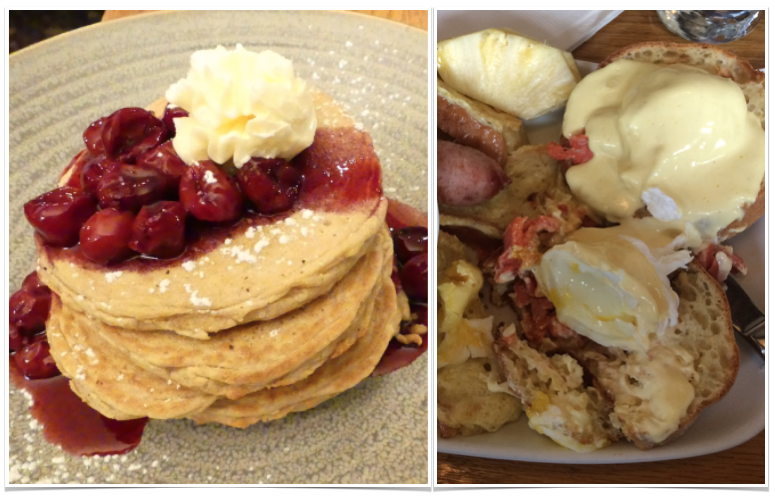 Frequent Diners earn double points! ORDER NOW! 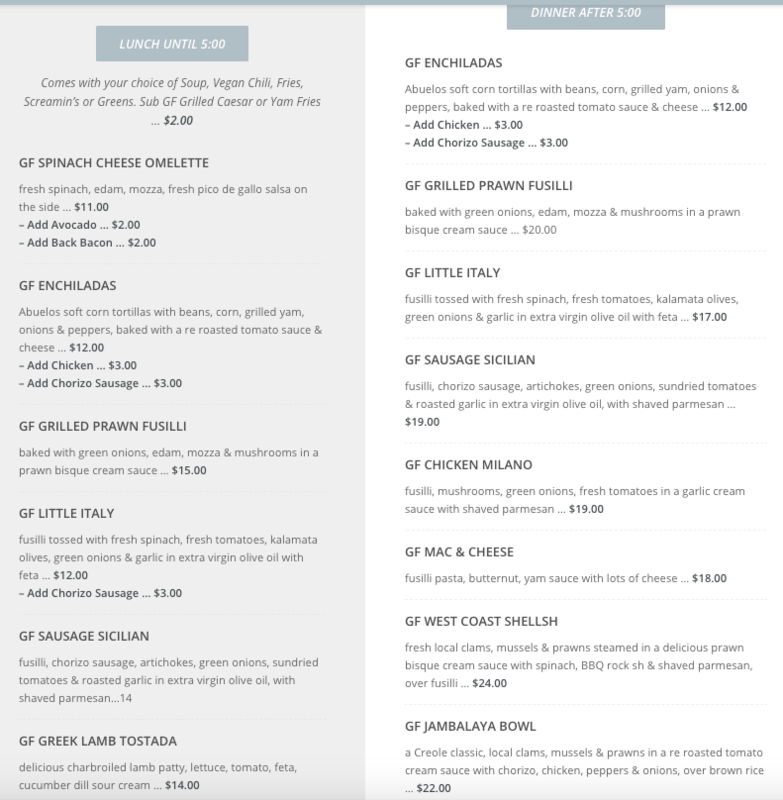 – Order weekly between Sunday 5pm – Thursday 11am. FREE delivery every Sunday. $80 minimum. MEMBER DISCOUNT – Subscribe to their weekly membership and never miss an order from them! How it Works – Watch the video! 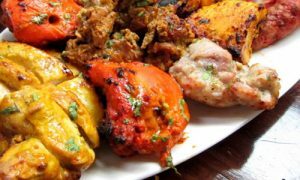 Enjoy a delicious gluten-free Northern Indian buffet from 11am to 3pm, 7 days per week for just $13.99! Guaranteed to satisfy. 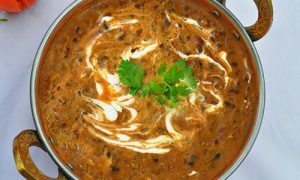 You can also order your favourite East Indian dishes from their comprehensive menu – 90% gluten-free. 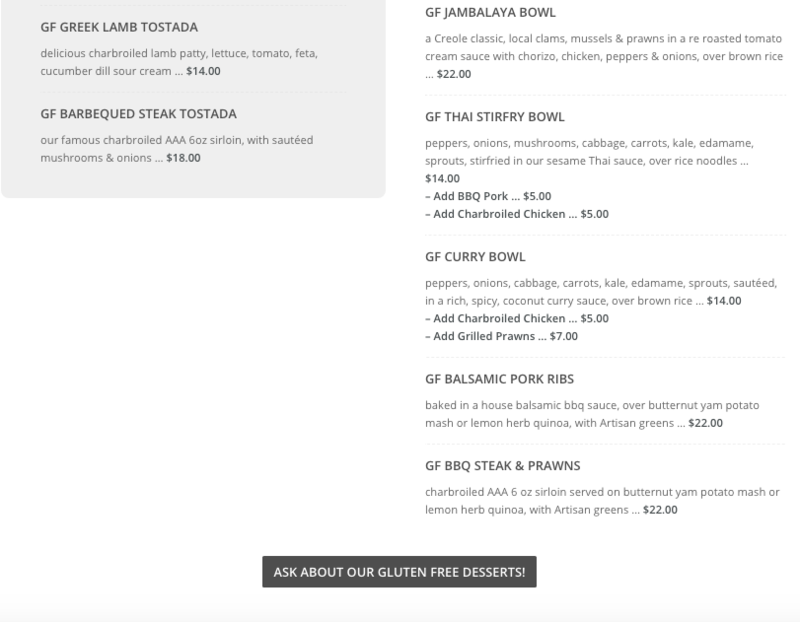 Gluten-free items clearly noted on menu. Dedicated deep fryer. 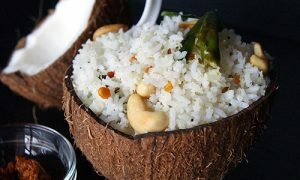 Pure heaven for East Indian aficionados! Enjoy a bounty of Northern Indian classics from 11am to 3pm, 7 days per week for just $13.99! Guaranteed to satisfy. 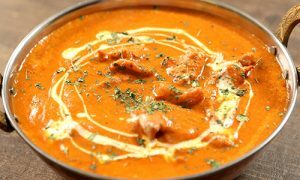 You can also order your favourite East Indian dishes from their comprehensive menu. 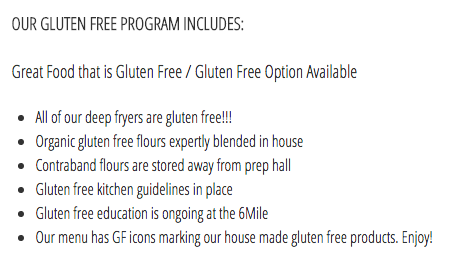 Gluten-free items clearly are noted. Dedicated deep fryer. 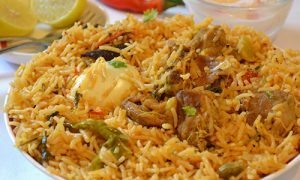 One dish- rice based meals made with your choice of vegetable, chicken, lamb, beef, prawn or goat. 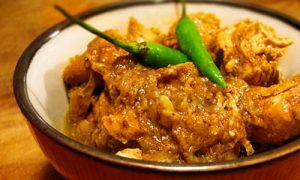 Royal Spice also offers catering services to events, weddings, graduations, corporate and holiday parties. 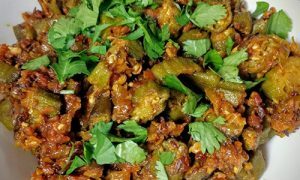 Exceptional Indian food made with quality ingredients at affordable prices. 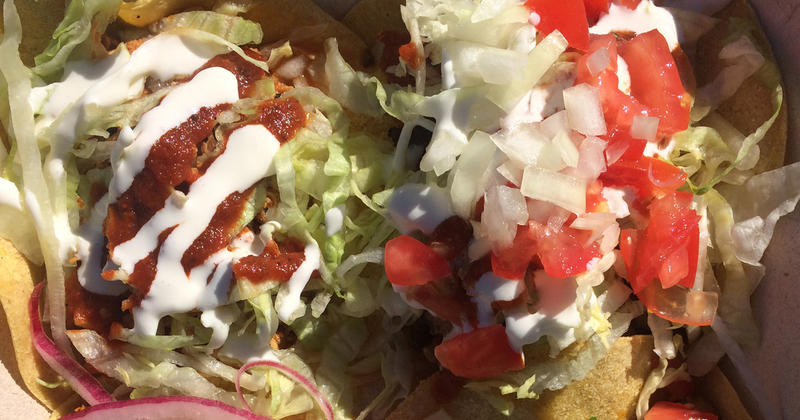 Find Taco Revolution 100% Gluten-Free Food Truck parked outside Red Arrow Brewing (5255 Chaster Road) most Tuesdays offering their famous $3 tacos – instead of the regular $4. Usual hours 11:30 – 6pm but can vary. Call Red Beer Brewing to confirm at (250) 597-0037. 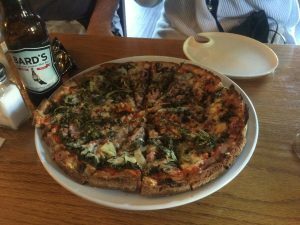 Read Gluten Sake’s Review Here! 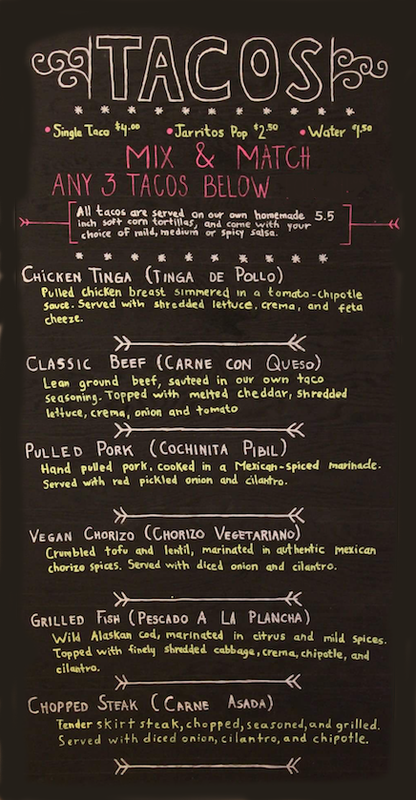 The Taco Revolution Food truck caters! Scroll down for more info! 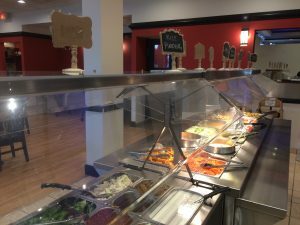 Taco Revolution’s tortillas are prepared fresh daily at their dedicated gluten-free facility, made with Bob’s Red Mill gluten-free, non-GMO corn flour! Authentic Guajillo, Ancho, Achiote, Chipotle spices and cocao are imported from dedicated facilities in Mexico. 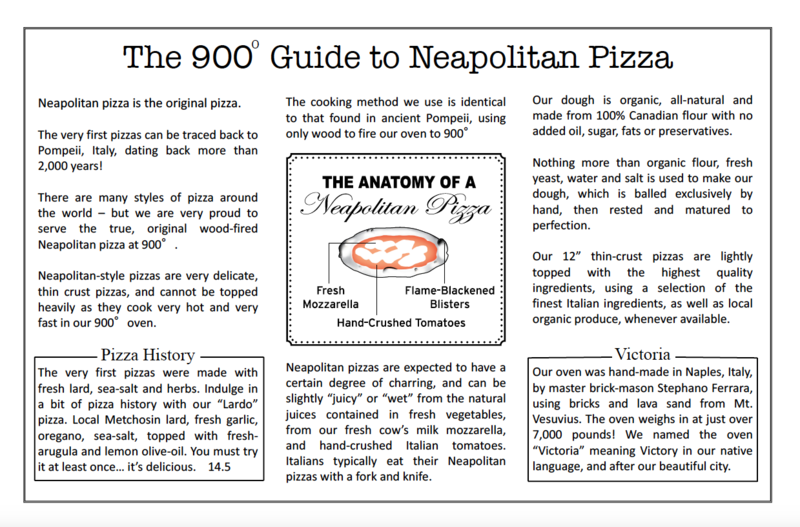 All other ingredients are sourced fresh, and as locally as possible from cod to cilantro, carrots to tomatoes! 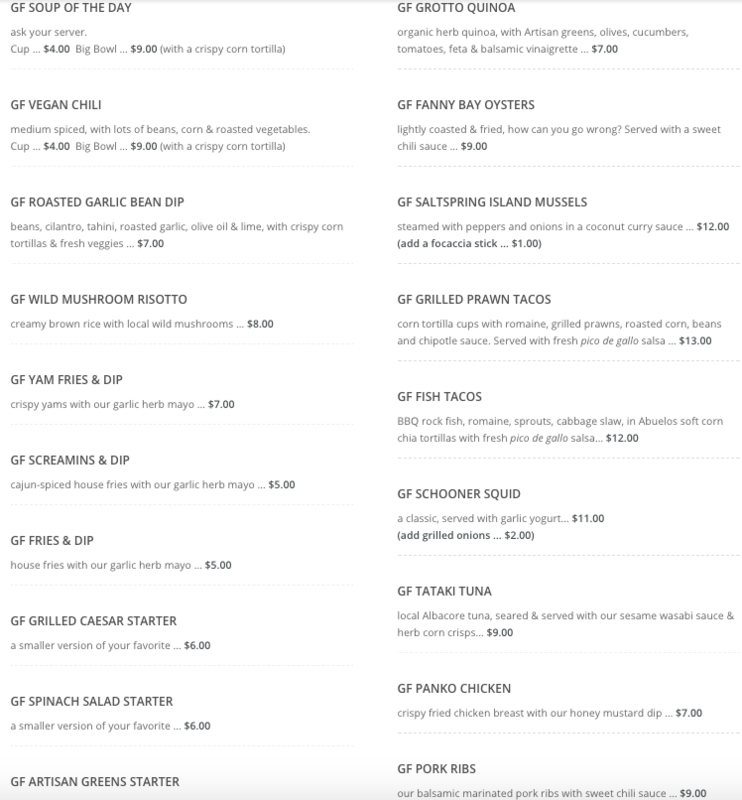 No gluten is allowed on the food truck – full stop! Love, love, love the Revolution! Taco Revolution tacos are so good you will want them every day, and that’s possible: Keep tabs on Taco Revolution no matter where they go! 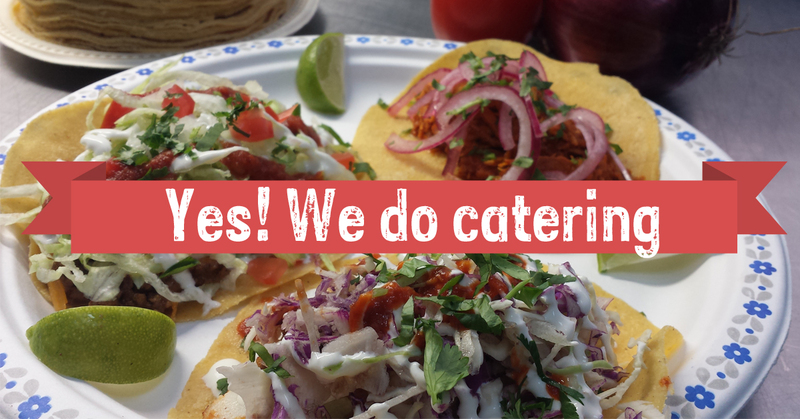 Taco Revolution caters birthday parties, Christmas parties, corporate events, weddings and any kind of public and private events. 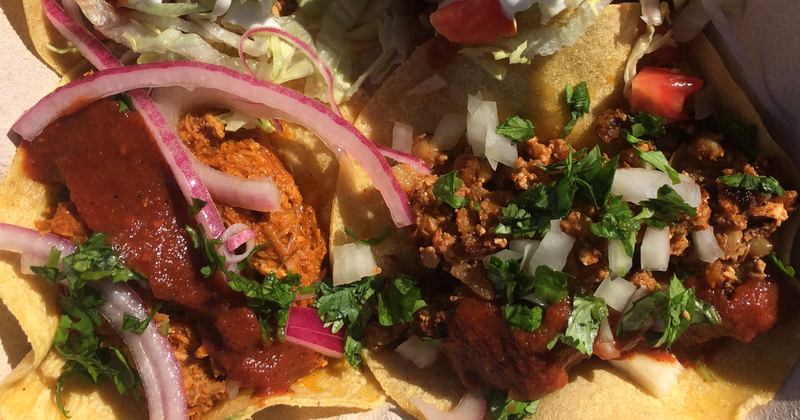 Bring the Taco Revolution to your event. 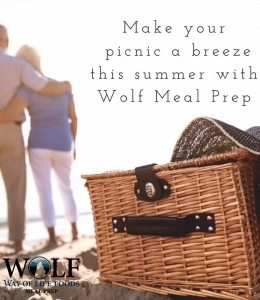 They can can take care of your guests with their “All-you-can-eat taco parties”. Basically, it’s like having an open bar, but with tacos! 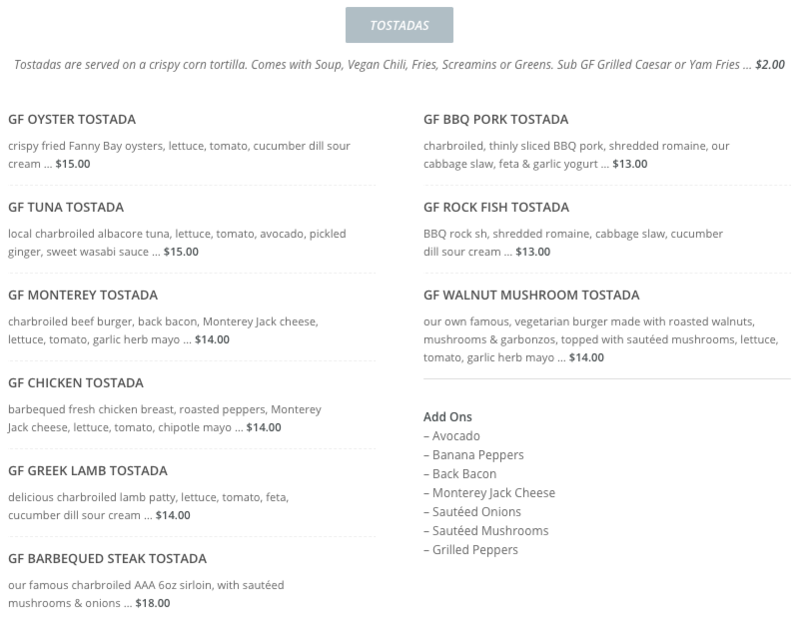 Our prices typically range from $15 to $20 per person depending on the menu. Easy is their middle name! Taco Revolution provides all necessary biodegradable serviceware (plates, napkins, forks, etc.) and for an extra cost we can provide non-alcoholic drinks as well. Let us give you the peace of mind you deserve during your event! 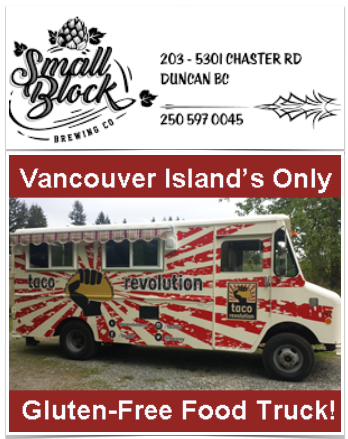 Taco Revolution serves in Victoria, Duncan, Chemainus, Ladysmith, Cedar, Nanaimo, Lantzville, Parksville, Qualicum Beach and anywhere in between. 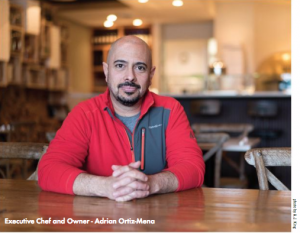 YES – Taco Revolution Caters! Scroll down for more info! Easy is their middle name! Taco Revolution provides all necessary biodegradable service ware (plates, napkins, forks, etc.) and for an extra cost we can provide non-alcoholic drinks as well. Let us give you the peace of mind you deserve during your event!